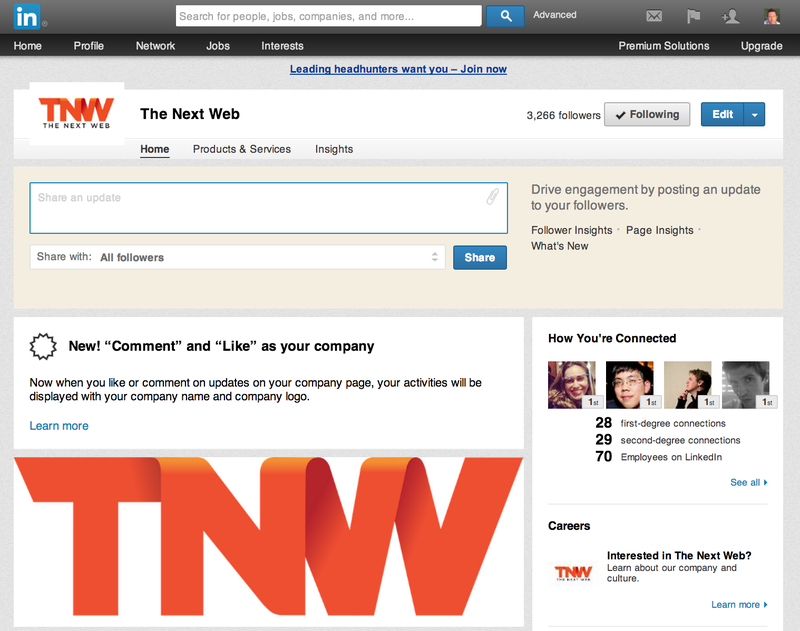 Company pages are a pivotal part of the LinkedIn experience, given that they offer a reference point for users’ employment history and also convey the firm’s work, corporate personality and reputation. These pages look a little drab, however, and lack the same level of interaction afforded by rival social networks such as Facebook. LinkedIn is hoping to change this by giving administrators the ability to comment and like posts on their company page as if they were the firm itself. It’s a small addition, but one that should give marketing and social media managers greater control over their brand and how they engage with new and existing customers. This functionality has been offered on Facebook for sometime, simply by hitting the arrow icon in the top right-hand corner and selecting the appropriate company account. LinkedIn is therefore playing catch-up, although it’s a welcome addition nonetheless. Once enabled, a small dialog box will appear near the top of the company page denoting that the all new ‘likes’ and comments will now be displayed alongside the company name and logo. It’s not clear at this time whether administrators will still be able to comment and like posts on their company page from their own personal account, however. A key difference between Facebook and LinkedIn is that users can switch between the two accounts; a clear line that dictates which profile future engagement will be sent from. With LinkedIn, the user retains their personal profile at all times. Comments and ‘likes’ are displayed from the company account automatically – there’s no option to use their own name – and any like or comment submitted outside of this page will always be sent from the user’s own personal account. There’s no leeway, which is likely to be frustrating to some. Nevertheless, it’s an interesting tack for LinkedIn that should incentivize further engagement from enterprise users.